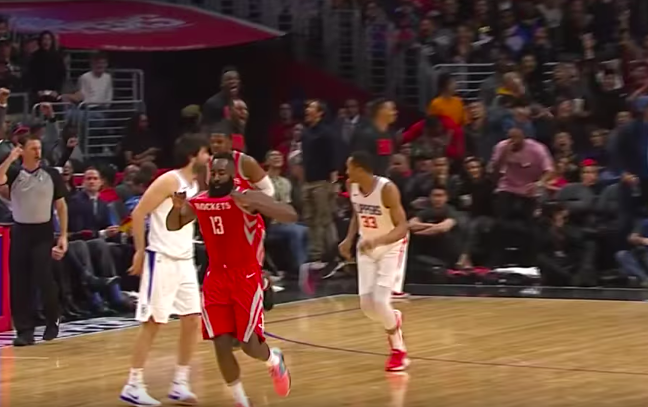 James Harden did something so disrespectful Wednesday night that the entire internet stopped what it was doing to marvel at it. We all saw Harden cross over Wesley Johnson so bad he fell straight to the floor, and then we all started screaming when Harden didnât immediately take the step-back three. Instead, he just stared at him. He then buried it a couple seconds later. It was completely and utterly ruthless. We came into the Rockets vs. Clippers game with memories of their last meeting on our mind, where Houston ultimately âchargedâ down a âsecret tunnelâ to the Clippers locker room to âfightâ them while teammates served as a âdecoyâ out front. (In actuality, it didnât quite go down like that, but, boy, that was a fun night.) Ultimat ely, only Trevor Ariza and Gerald Green were suspended. 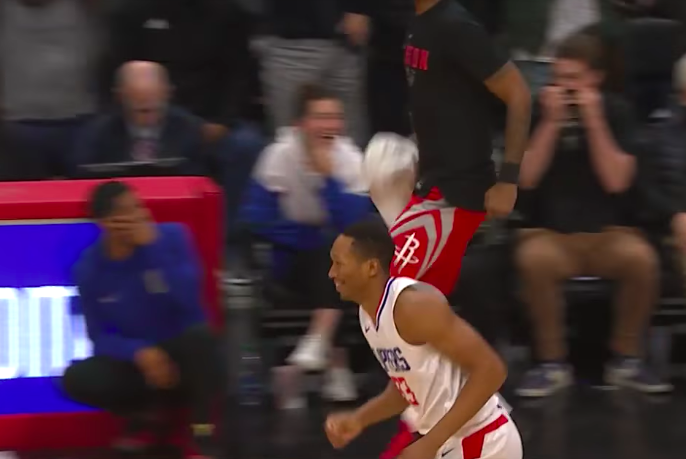 Instead of getting more off-court tomfoolery or even some ejections, we got the Rockets clowning on Los Angeles, and specifically Harden clowning on Johnson, who might have to retire now. Itâs unfortunate, but sometimes this is just how careers end. Donât be sad that itâs over. Be happy it happened. With that in mind, weâve ranked all the most disrespectful parts of Hardenâs devastating crossover. Or maybe he just yelled âletâs goâ or something, I dunno. 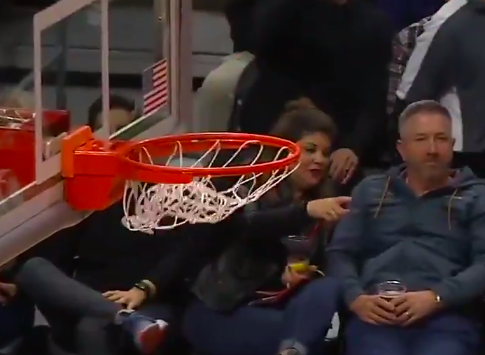 When random Angelenos sitting courtside are even pointing you out in laughter, you know youâve done something wrong. Watch this again, but just focus on the bench. Is it time for a ... ranking within a ranking? It is. Here are the Rocketsâ bench reactions, ranked. P.J. Tucker literally just standing up and walking away after Johnson falls. Green crouching down just waiting for Harden to drill that shot. Ariza jogging up the sideline just because he canât believe Harden did that. Assistant coach Roy Rogers sitting down with his hand over his mouth because he doesnât want anyone seeing him grinning about how bad Harden just humiliated his defender. It wasnât an elite bench reaction, but it added to the moment. It was a good crossover, but hardly spectacular. Harden may have put just enough of his shoulder into Johnson that he got his feet tangled. It was all over after that. Remember back in the day when you crossed someone over and then put up a jumper from where you were standing? Harden ainât about that life. Daryl Morey is still grinning gleefully somewhere after Harden decided to just hop on back behind the line. 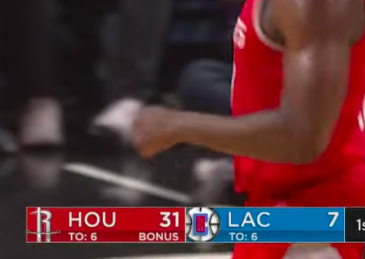 That this was the first game between the Rockets and the Clippers since TunnelGate just makes everything so much juicier. You know that movie Interstellar, when they go onto the planet orbiting close to a black hole that causes time dilation, which makes an hour on that planet equal seven Earth years? Iâm almost positive thatâs what happened during Hardenâs stare. I rewatched this play 100 times. Johnson doesnât hit the floor until 1:20 is on the clock, and when the shotâs out of Hardenâs hands, the clock says 1:18. But I know that he stared at Johnson for longer than two seconds. Iâm sure of it. I felt like we all lived what was actually several Earth years watching Harden just hang out watching Johnson before Milos Teodosic mercifully decides to end it. If Teodosic hadnât, and this goes on for a few more seconds, we might have all actually aged 50 years. Somehow, there are two things even more disrespectful than this. Houston won, 105-92, but they led by double digits for all but 28 seconds (when their lead was only eight) in the final three quarters. It wasnât close. The Rockets embarrassed Los Angeles, and they remain 31-1 with Harden, Chris Paul, and Clint Capela all playing. THIS MIGHT BE THE MOST DISRESPECTFUL PLAY IN NBA HISTORY. IT WAS SO DISRESPECTFUL THAT JOHNSON WASNâT EVEN MAD. HE JUST SMILED. HE JUST ACCEPTED HIS FATE. THERE WAS NOTHING ELSE HE COULD DO.